SHOP and support Girls Inc. at the same time! Retired history professor and environmental activist Aloma Dew was named the 2016 Athena Award recipient at the 18th annual award luncheon Wednesday at the Owensboro Convention Center. Aloma Dew, left, recipient of the 18th annual Athena Award, accepts the awardfrom Amy Jackson of First Security Bank at the annual awards luncheon Wednesday at the Owensboro Convention Center. 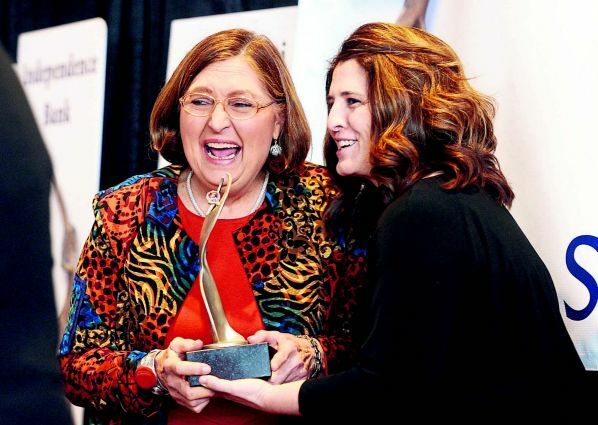 Hosted by the Greater Owensboro Chamber of Commerce and Girls Incorporated of Owensboro-Daviess County, the luncheon benefits Girls Inc.
Before naming her the Athena recipient, Kirkpatrick listed many of Dew’s accomplishments. Afterward, with award in hand, Dew said she was in shock. Her fellow nominees were capable and deserving too, she said. The award announcement came after a number of speeches from Girls Inc. members as well as keynote speaker, Lt. Gov. Jenean Hampton. dear to my heart. No. 1 is reaching kids. 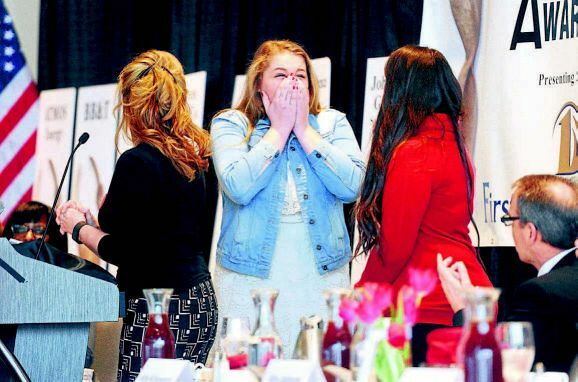 Addysanne Stout of Henderson County High School, center, reacts along with Angel Phillabaum of Daviess County High School after they were each awarded a $20,000 scholarship from Girls Inc. at the Athena Awards Luncheon. It was also announced Wednesday that two Girls Inc. members, Addysanne Stout and Angel Phillabaum, were two of nine girls nationwide to receive a national Girls Inc. scholarship. Both girls received $20,000.